Just like my food cravings, my diabetic body seems to be reverting back to days of yore – those were not fun days. 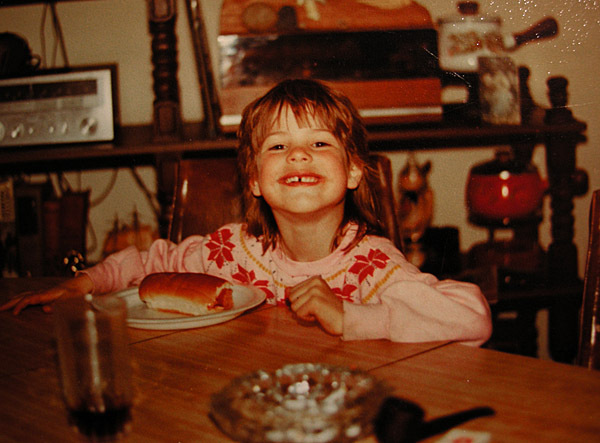 While I crave such unheard of foods (in my regular diet that is) as my pop’s homemade perogies and farmer sausage, scalloped potatoes, poutine, roast beef with carrots and onions soaking up the juice in the roaster, and hot dogs – HOT DOGS!!! – (something I have not eaten in well over a decade) my head has been riddled with post low blood sugar migraines. Hotdogs? Are you kidding me? Why am I not craving chocolate – something I actually like? This week I have had six migraines in as many days. Headaches so bad, I clutch my head trying to make it stop. Headaches so bad, I can’t open my eyes for fear of the brightness elevating the pain. Headaches so bad I spend hours in silent, pitch black darkness, hoping, praying, begging them away. I haven’t had headaches like these since I was kid! I blame the lows. It’s hard not to when the second I catch my body in a low, I feel the pressure in my head filling until it’s the weight of a 10-tonne anvil. This used to happen all the time as a kid, when I was less controlled with my diabetes, and my blood sugars were on a non-stop roller coaster ride of highs and lows. And while I’m not currently experiencing the highs (thank goodness!) I am experiencing low after low after low. And I think this past week, my body has finally had enough, rebelling against me, the one causing the lows. I know the docs say the lows aren’t hurting alien baby, just me, but seriously, if I can’t function because of these headaches, if I can hardly eat because of these headaches, if I can’t go out for even so much as a brisk walk without suffering a low, which inevitably causes these headaches – how is any of that good for thumb-sucking alien baby? I see my pregnancy endocrinologist on Tuesday, and she’ll likely reduce the basal rates and insulin sensitivity rates on my pump again, which I’ve already done a couple times since I last saw her a week and a half ago. At the rate I’m going, soon there will be no insulin going into me whatsoever. Hot dogs? Are you freaking kidding me was first published March 30, 2012.